It’s remarkable to us today that the origin of meteorites was, for a very long time, a source of uncertainty, debate and hostility. Variously believed to be messengers from the gods, solidified ‘exhalations’ from the earth, or simply rocks swept up by strong winds, only in the early 19th century was their extraterrestrial origin finally accepted. While Earth is bombarded by anything from 100 to 300 tonnes of small meteorites each day, finding a readily handled fragment is rare. Golia is perhaps at her best when she covers rarely heard accounts of historical hunts for meteroites in some of the world’s most arid landscapes, and the occasional legal wrangles that broke out over their ownership. In today’s buoyant market, finding yourself in possession of a larger, aesthetically attractive meteorite fragment could well mean early retirement. This is an extremely well-researched book, with its focus away from the scientific details, and squarely on the place of meteorites in various aspects of human culture. Despite a lifetime’s interest in astronomy, I hadn’t previously seen most of the images beautifully reproduced on the very high quality paper. I found the depiction of meteorites and their craters within artworks, especially those by tribespeople, fascinating. Interspersed among the various sections are full-page images of meteorite sections as viewed under the microscope. These prompted me to delve deeper into how some of the oddly shaped and highly colourful inclusions were formed. 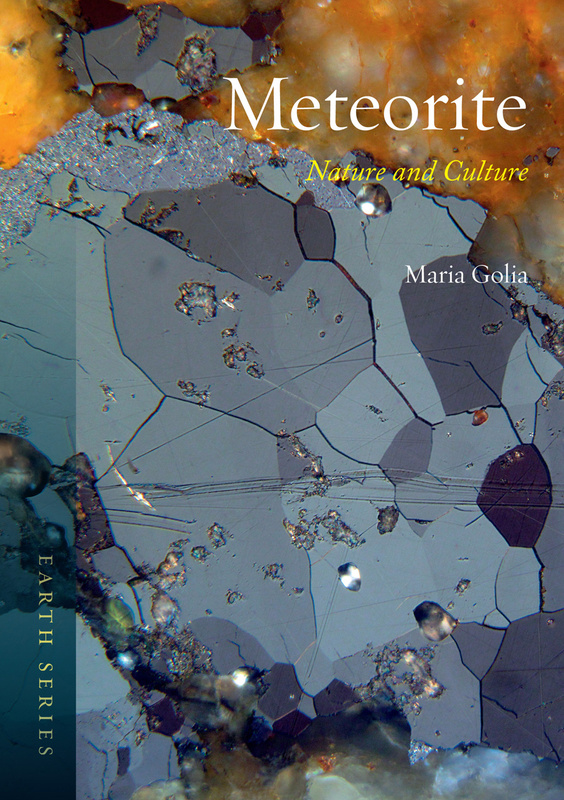 Indeed, the book renewed my interest in meteorites in general — a success for any book. The text does occasionally drift into an overly-academic style, seemingly brought on by the thorough referencing of almost every sentence. But there are plenty of amusing and well-told stories in there, too. Edgar Williams’ book examines the psychological, philosophical and spiritual significance of our nearest neighbour in space. 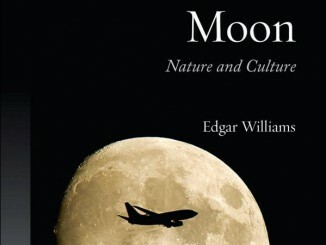 Reviewer Ian Welland states that the author had done extensive research, but the book should be considered a cultural and historical account of our interpretation of the Moon, rather than a full scientific account.